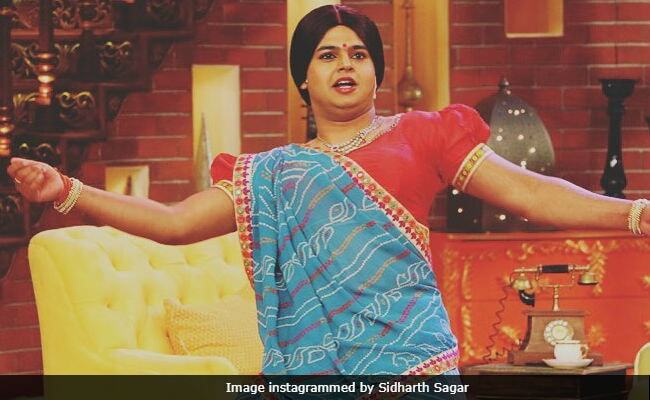 Comedian Sidharth Sagar, who went missing and then re-appeared mysteriously last week, opened up about his personal life in an interview with Indian Express. The actor, who played various characters on The Kapil Sharma Show, including 'selfie mausi,' told Indian Express that he was "thrown into a mental asylum" where he was "tortured and treated for ailments" he didn't even have. "I started feeling really low and I had put on weight. Soon I realised, I was depressed. My speech slurred and I was in a bad zone. When I told my parents about it, they said that they have put me on medicines for bipolar disease. I was shell-shocked when I heard it. I know about bipolar and I didn't have any of the symptoms and here my parents were giving me drugs by mixing it in my food," he told Indian Express. Sidharth said he left home after a fight with his mother's partner (his parents separated 20 years ago) and got into substance abuse. "But I knew it was wrong for me and I told my mother about it. She broke down hearing about the same," he told Indian Express. Sidharth was then admitted in a rehabilitation centre where he faced "the worst moments" of his life. He told Indian Express: "Four-five people used to bash me and I would bleed and lose conscience. I was shattered completely. Somehow, I managed to connect with my managers who pulled me out from there after a month." But from home, Sidharth alleged he was thrown into an asylum "where I was tortured and treated for ailments I didn't even have. But since it was turning out to be an expensive treatment, my mother decided to shift me to (another) rehabilitation centre." Sidharth said that he received proper treatment at the new rehabilitation centre and now he feels that he's fit enough to work. Sidharth Sagar said that his manger is looking for projects and though he still loves his family he prefers to keep a distance. "I was physically, mentally and emotionally shattered but I am now ready to face the world once again," he said.